The association representing current and former ATF employees has pushed back against critics blaming the agency for approving bump stocks. The ATF Association said the agency “does not have the legal authority to regulate” bump stocks, which allow semi-auto rifles to mimic full-auto fire. 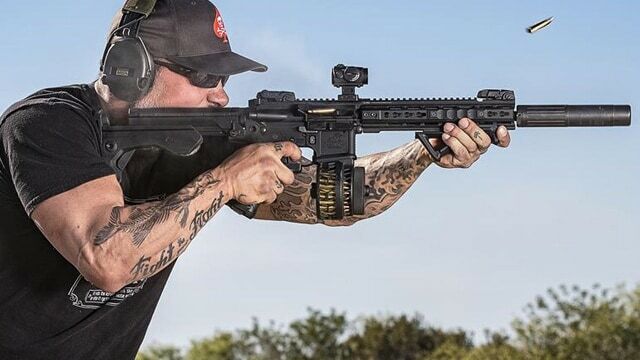 “The bump slide, and several other similar after-market accessories that increase the rate at which a shooter can pull the trigger, are engineered to avoid regulation under Federal law,” said Michael Bouchard, ATFA president, in an open letter last week. “The notion that ATF chose not to regulate an item it had the authority to regulate is false. The law is very clear and it does not currently allow ATF to regulate such accessories,” Bouchard added. The federal laws that regulates machine guns — the National Firearms Act and the Gun Control Act — define a machine gun as “as any combination of parts designed and intended for use in converting a weapon to shoot automatically more than one shot, without manual reloading, by a single function of the trigger,” Bouchard said. The bill has gained support from 25 co-sponsors, 13 Democrats and 12 Republicans. It’s unclear if more lawmakers will throw their weight behind the measure. House Speaker Paul Ryan, a Republican from Wisconsin, said he thinks a regulatory fix is the “smartest, quickest way” to address bump stocks and a competing measure introduced in the Senate has only gained partisan support. The lead critic of the ATF over the bump stock has been the National Rifle Association, which called upon the agency to “do their job” and regulate the device rather than allowing Congress to pass legislation banning the device. Industry trade groups expressed similar sentiments, urging ATF action over legislation. But other gun rights organizations have mostly taken a hard-line stance, defending bump stocks and arguing the ATF’s initial determination should stand. Rick Vasquez, the former ATF technician who approved the device in 2010, detailed the agency’s reasoning in its determination letter approving the Slide Fire bump stock — the device a gunman equipped to a dozen or so rifles before shooting into a crowd of concertgoers on the Las Vegas strip on Oct. 1, which resulted in 58 people dead and more than 500 injured. Vasquez explained on social media on Oct. 4 the item was not classified as a machine gun because it does not fire automatically with a single pull of the trigger, but rather it is a stock that creates a reciprocating motion that assists users to quickly press and depress the trigger. “After lengthy analysis, ATF could not classify the slide fire as a machinegun or a machinegun conversion device, as it did not fit the definition of a machinegun as stated in the GCA and NFA,” Vasquez said.